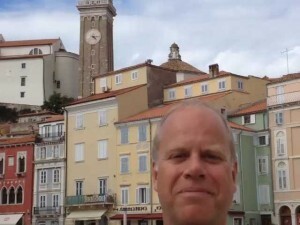 Martin reports from Piran, Slovenia just a miles from Italy. 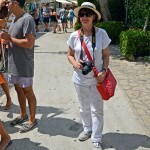 Here’s Martin last stop on a great Mediterranean cruise. Piran is in southwestern Slovenia on the Adriatic Sea. Until the mid-20th century, Italian was the dominant language and was replaced by Slovene after the second world war. The town is rich in medieval architecture with narrow streetsl and compact houses.